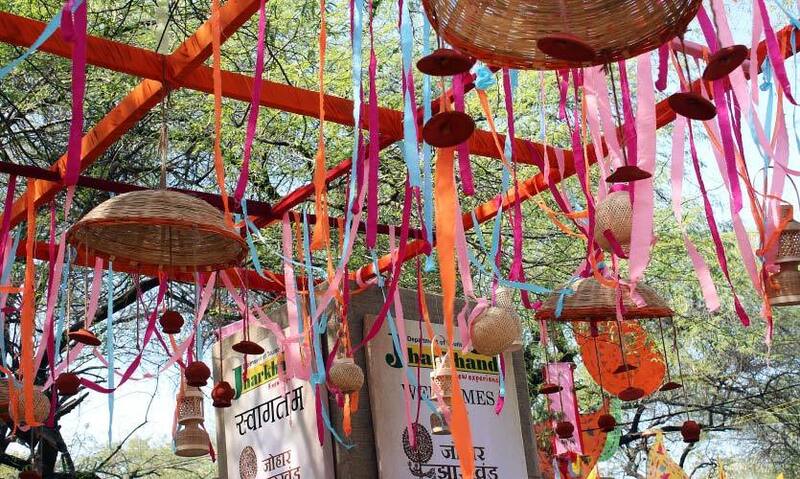 A grand celebration of India’s sheer joie de vivre, last year’s Surajkund International Crafts Mela can best be described as a splash of colours, the rhythm of regional music and the enticing aroma of local delicacies from the 30+ food stalls! 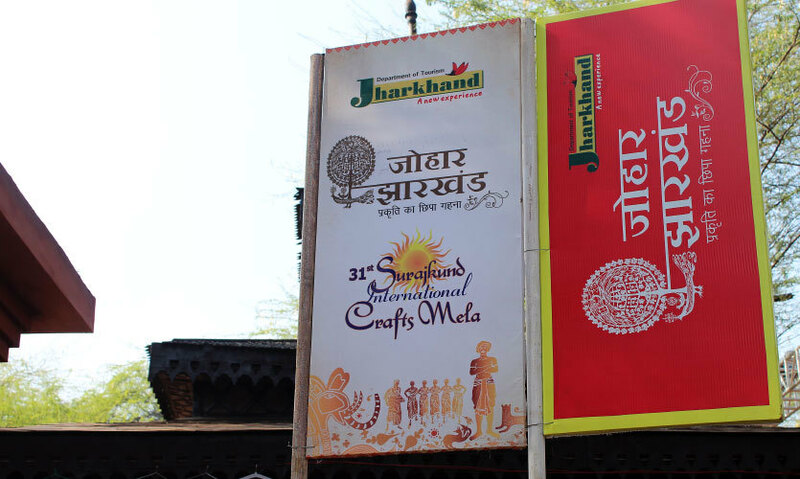 The great Indian festival spotlighted Jharkhand in the previous edition, and showcased the richness and diversity of the handicrafts, handlooms, street food and folk dances from all parts of the country, along with stalls from about 19 other nations. 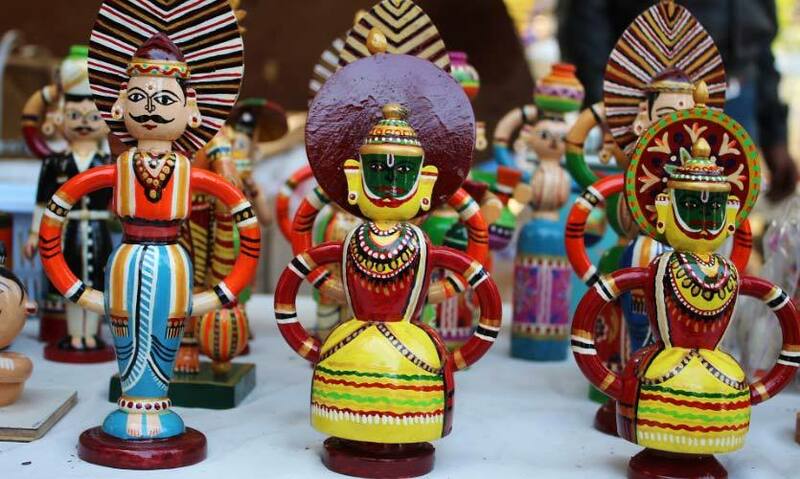 Occupying pride of place on India’s tourist calendar, more than a million visitors thronged the Mela, making it the largest crafts fair in the world! 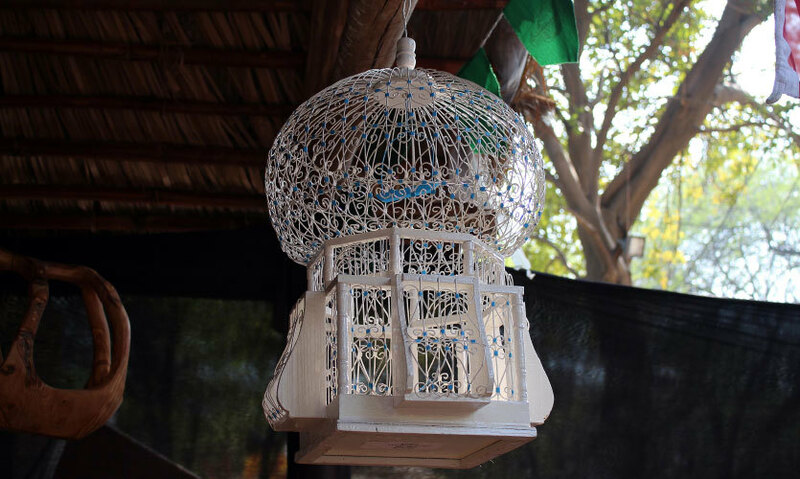 We drove down on opening day and were mesmerized by the eclectic shopper’s paradise we found here, and here’s a roundup of all the highlights! 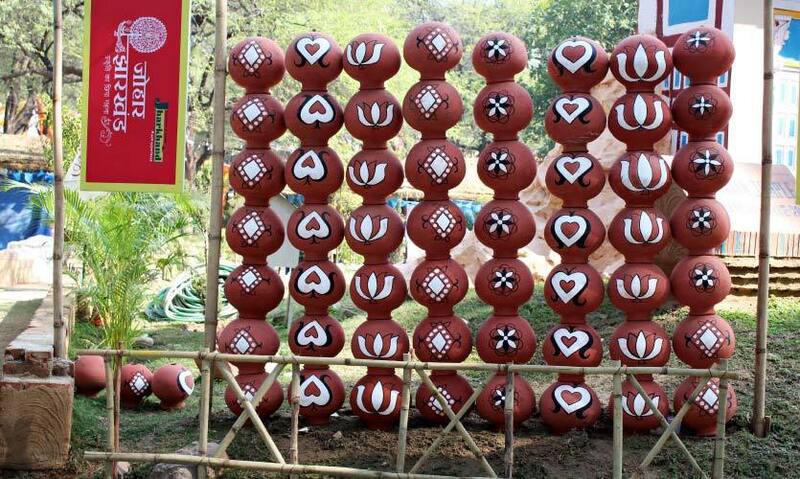 The larger-than-life art installations that dotted the Mela compelled us to stop and stare, and we did! 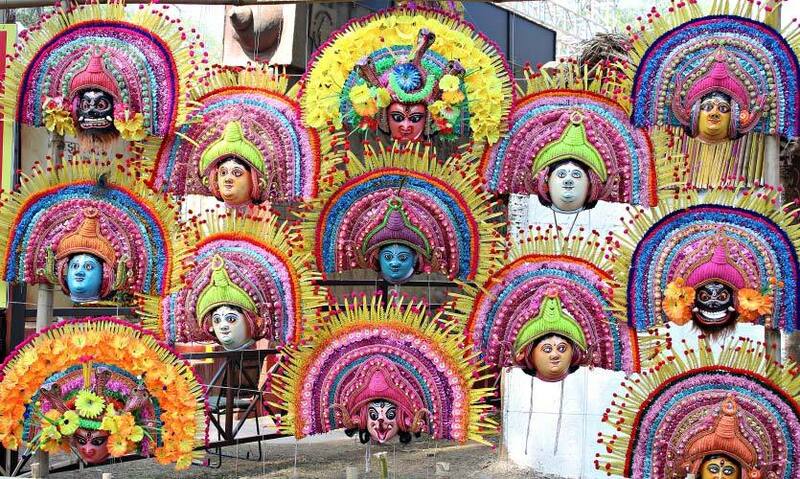 From vibrant peacocks and colourful chhau masks to majestic sculptures from the Elephanta caves, there was enough to wow us in every zone. 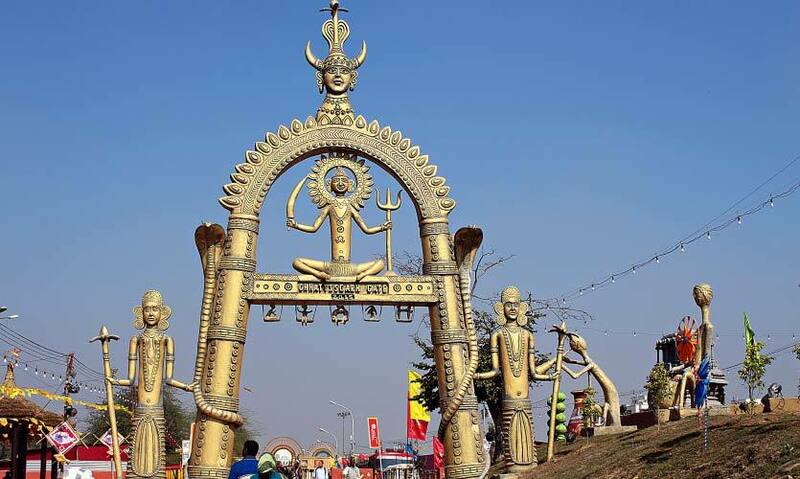 You could also get a glimpse into rural Santhal households from Jharkhand with life-like replicas of their huts and people, catch your breath beneath innovative tokri chandeliers, or praise the gods at the Chhattisgarh Gate! 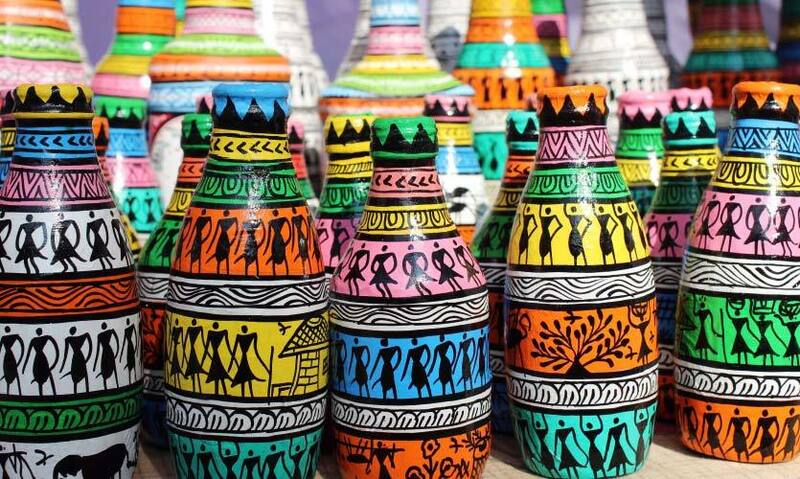 We really had to restrain ourselves from snagging everything in the row upon shiny row of home décor items, apparel and accessories with vibrant hues and the beautiful desi motifs made our hearts skip a beat! 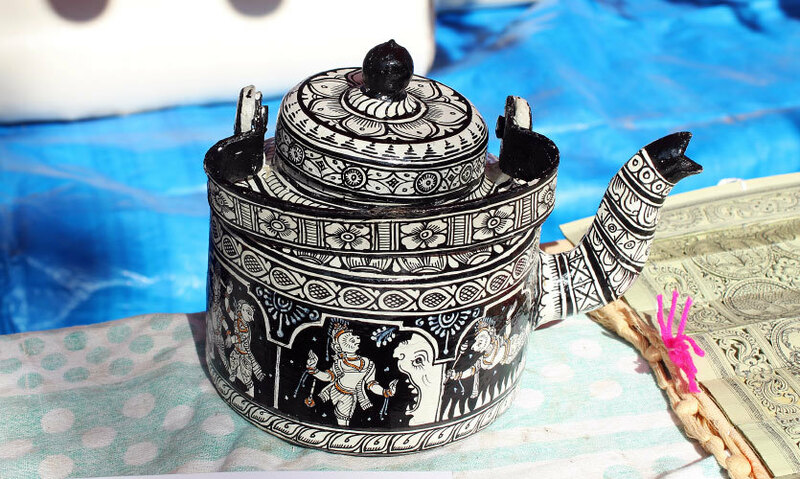 Paintings, wood stock, textiles, leather goods, pottery, ivory, lace and stonework, terracotta and grass work all lay before us at throwaway prices, and we had no qualms admitting that we got the gifting requirements for all birthdays in the next six months sorted. 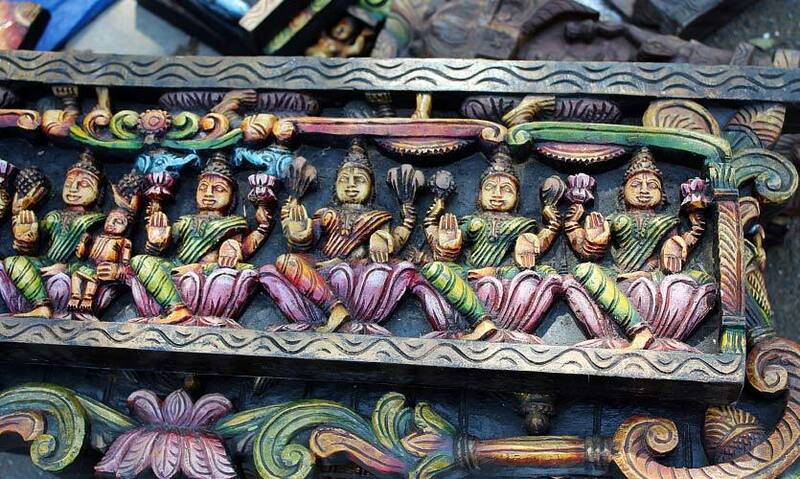 Sri Lanka – Lace and cane products + Quillwork (stylish sling bags at Rs 200, handmade crochet bookmarks at Rs 20 and adorable quillwork keychains at 50 bucks). 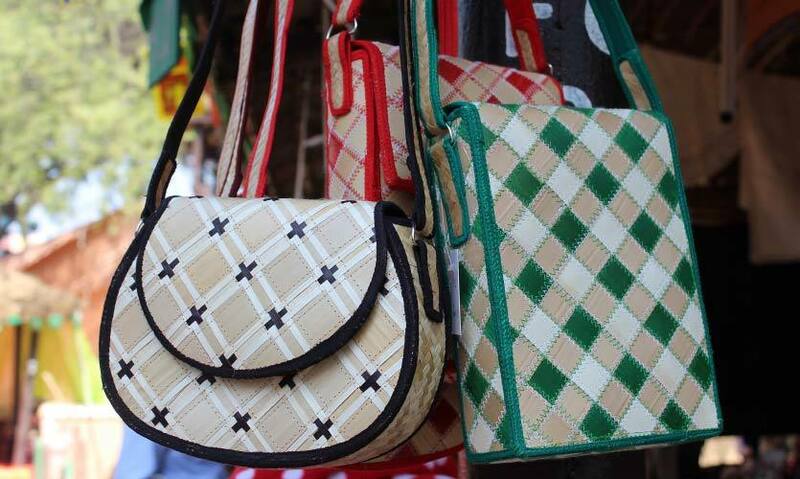 Syria – Leather bags and wallets. 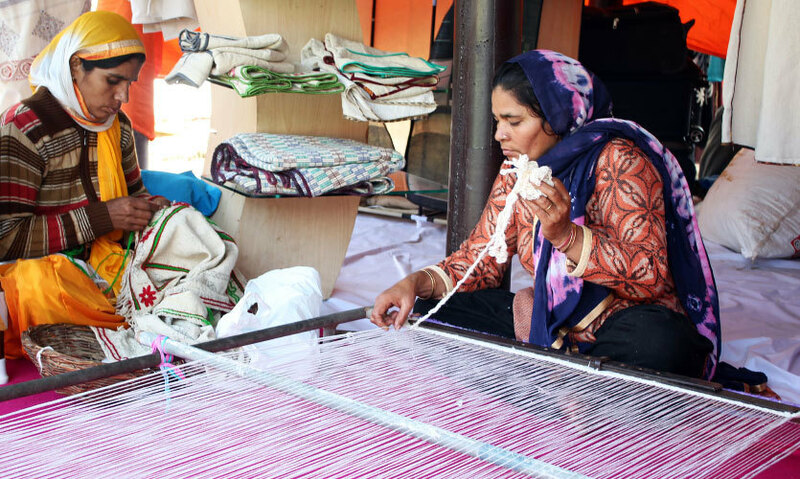 Afghanistan – Handmade rugs and carpets. You can also score some pretty jutis at bargain prices like 250 bucks! Trudging across multiple zones on three levels with bags full of delicate goodies is no doubt a mammoth task, and we made a pit stop at the fair’s two Food Courts more than once. 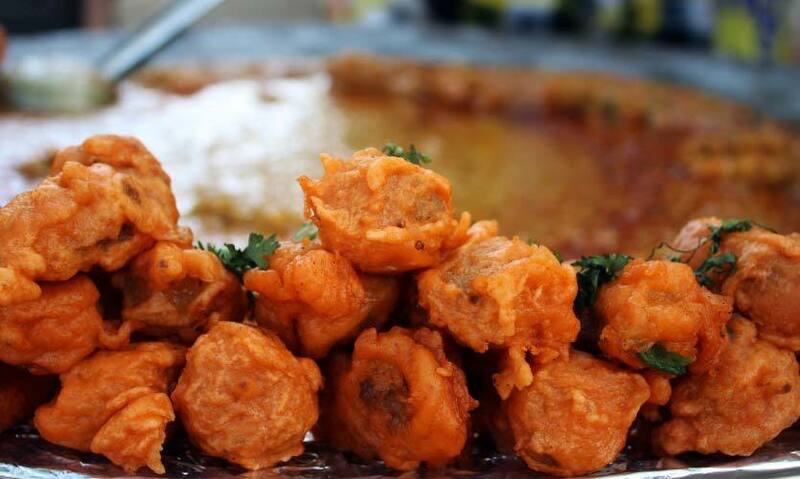 You could choose from over 30 stalls offering street eats all the way from Rajasthan, Gujarat, Mysore, Nepal and even Lebanon, among others. 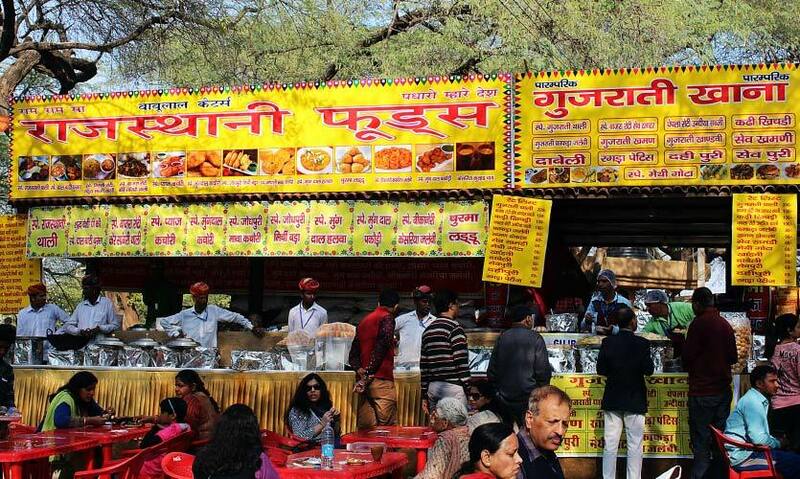 The prices were reasonable and there was ample seating for us to soak up the winter sun while munching on chaap, dosas, jalebis, gajar ka halwa, momos, chhole bhature, kulfis and juices etc. There was even a Domino’s if you’re a true blue city rat. 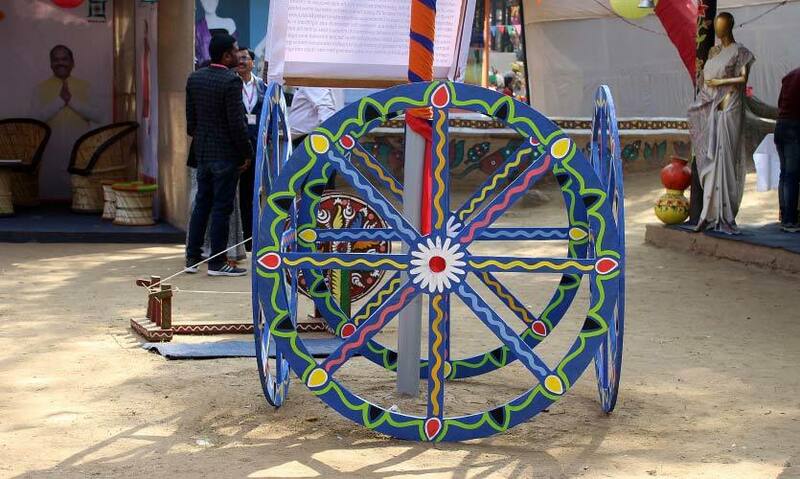 RO system kiosks had also been installed for pure and safe drinking water throughout the Mela ground, which was a relief really. 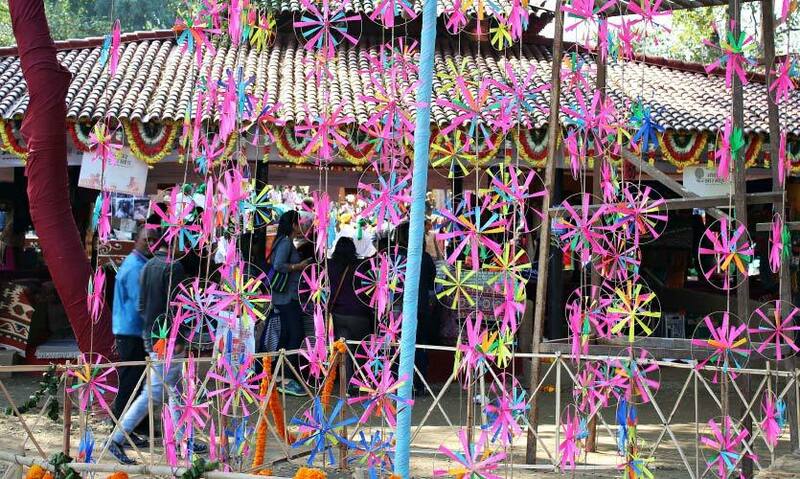 Renowned national and international solo folk artistes and cultural groups were slated to perform at both the Chaupals (open-air theatres) in the premises through the fortnight. The line-up included ghazals, sarod recitals, kavi sammelans, foot-tapping sets by Haryanvi singers as well as folk dances and plays. 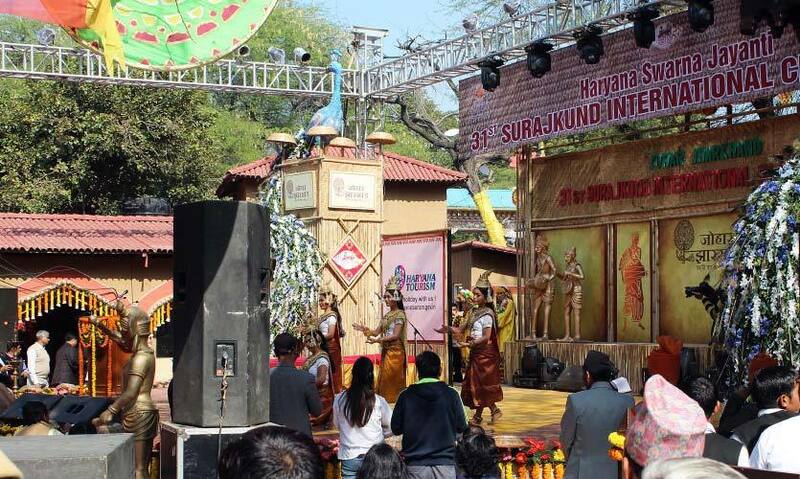 The performing arenas were full to capacity throughout the first day and we were lucky to catch dancers from Africa and Manipur in action, resplendent in their regional costumes! 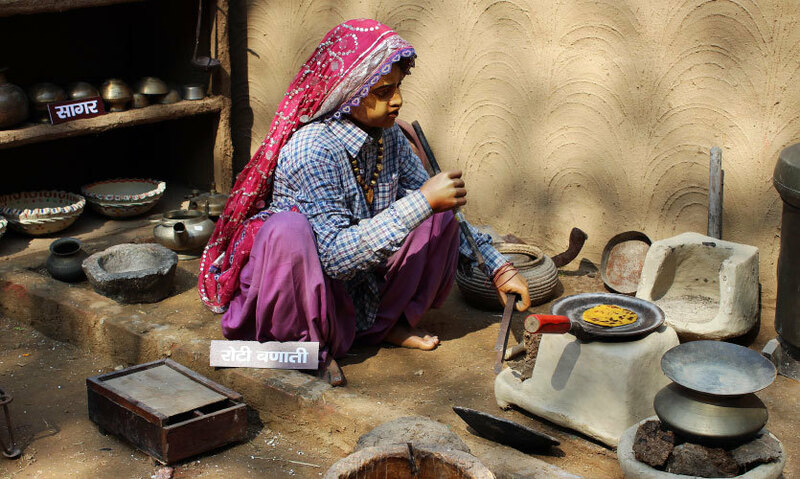 Keeping the spirit of self-sufficient womanhood alive, some of the female artisans at the handicraft huts were showcasing their local techniques live! 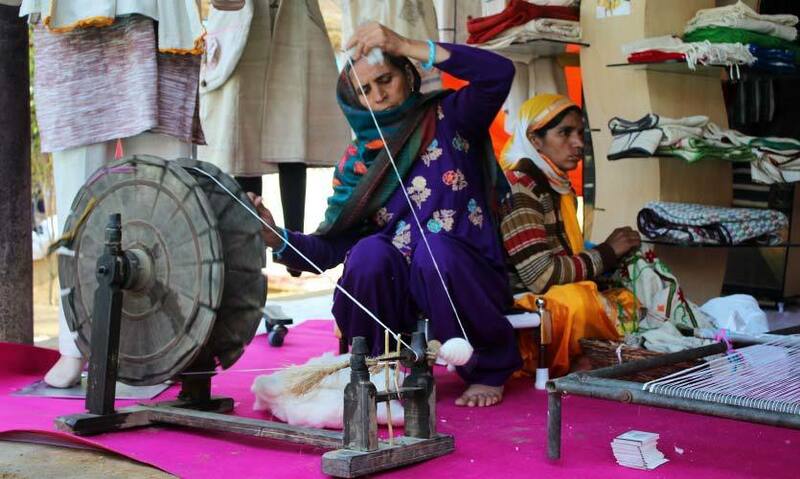 We got a dekko at spinning yarn, hand embroidery and single frame braiding at a stall selling jackets, dupattas and kurtas. 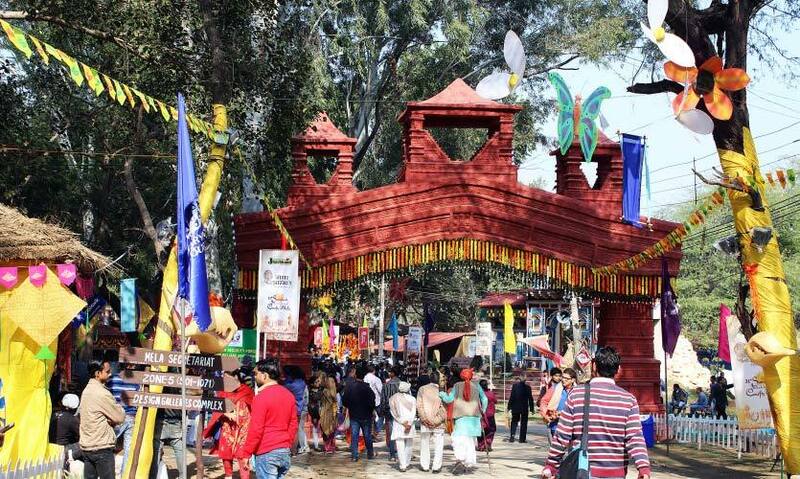 We’d highly recommend visiting the upcoming Surajkund Mela but a word of caution: be prepared to walk till you drop, for the enclosure is enormous! Here’s Some More Ah-Mazing Pictures To Flick Through!